The face of the Buffalo Sabres could soon be elsewhere. The NHL regular season resumed a couple of days ago, just a little over a week away from the March 5th league trade deadline. While plenty of rumors are flying around, over the past few deadlines, the rumors have not seen the earth-shattering deals fans wait for. 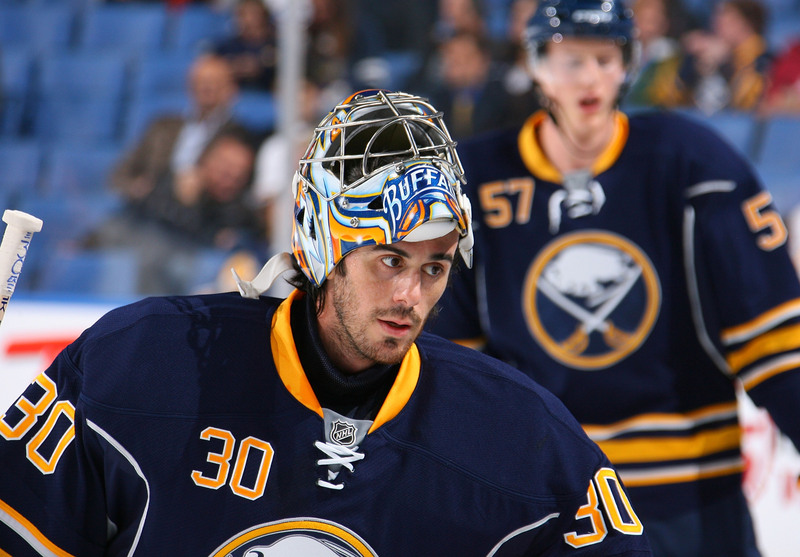 Once again there are big names being bandied about, chief among them the Buffalo Sabres’ goaltender Ryan Miller. The 11-year veteran has spent his entire career in Buffalo, but with the Sabres at the bottom of the NHL standings and Miller’s status as a pending unrestricted free agent, the feeling is the time is right to move the 33-year old. The Sabres have a short window to try to re-sign Miller or deal him and move on to Jhonas Enroth as the #1 goalie. There’s also a #2 goalie in New Jersey who has some decisions to make about his immediate future. Sure-fire first ballot future Hall of Fame member Martin Brodeur, like Miller, has played his entire career in one uniform. The veteran of parts of 17 seasons with the Devils, Brodeur could be playing his final season in the NHL. The three-time Stanley Cup champion has contemplated taking one final run at Lord Stanley’s Cup, but with a team that would have a better chance than the Devils. Though the team made it to the finals two seasons ago, Thursday morning found them five points behind the eighth and final seed (Detroit) in the Eastern Conference. Matters are compounded by the four teams tied or ahead of the Devils that are fighting for the final spots as well. Then there’s the added issue of Brodeur no longer being the #1 guy between the pipes for New Jersey. This past off-season, the team brought in Corey Schneider, who has outplayed Brodeur and taken over the top spot. So, does Brodeur stay in NJ and finish a marvelous career in the same uniform or does he ask the team to move him to a team that has a better shot to make a deep run in the post-season? It’s a move that could help the Devils’ future, depending on what they get in return, however, the hunch here is that Brodeur stays put. There’s no guarantee he could take over the main goaltending duties for any playoff contender unless a team’s current goalie were to suffer a serious injury. 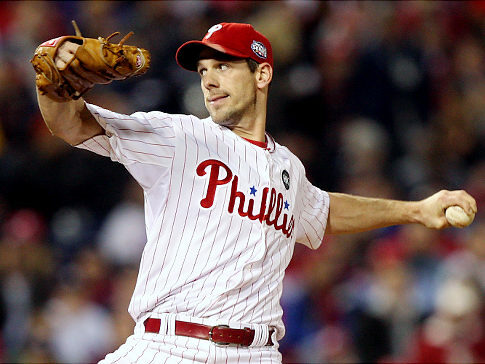 If a deal was to be made to a borderline playoff team, he might as well stay put. The Devils’ chief rival also has some major decisions to make. The New York Rangers were playing well when the league shut down for the Olympics and entered Wednesday’s play as the fifth seed in the East. Though they don’t appear to be a team that is currently built to win the Cup, any time you have a top-of-the-class goalie like Henrik Lunqvist, you have a legitimate shot to pull off a playoff series upset. But GM Glen Sather faces two difficult decisions regarding his captain, Ryan Callahan, and one of his top young defensemen, Dan Girardi. The acquisition of a player of St. Louis’ caliber would help the Rangers fill the void left when Matt Zuccarello broke his hand during the Olympics. Zuccarello is expected to miss 3-4 weeks. Girardi is in a similar boat, though Dreger stated that there has been more back-and-forth in negotiations between Girardi’s representatives and the Rangers. However, if a deal isn’t made, Dreger says, “…there’s also a 99% chance that he (Girardi) gets traded.”1 The loss of Girardi could actually have a bigger impact on the ice than if the Rangers were to lose Callahan, due to the importance of a strong blue line. Additional pending free agents that might be packing their bags include: Thomas Vanek (NYI), Jaromir Jagr (NJD), Milan Michalek (OTT), Henrik Tallinder and Matt Moulson (BUFF), and Mike Cammalleri (CAL).